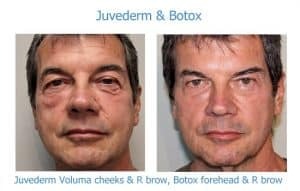 Botox® Cosmetic is not only the most frequently performed cosmetic procedure done in the United States, it's the most popular cosmetic treatment and the most researched medicine in the world; Botox® has been used safely for a variety of medical conditions. Dysport™, another wrinkle relaxant similar to Botox®, was FDA-approved in the U.S. in 2009 & is considered so safe that it's now approved for spasticity in children. Both products are probably most known for their use in relaxing frown lines, crow's feet and forehead creases but there are many other ways and places they can be used. Some of the techniques that Dr. Elliott and the other practitioners at Skinspirations use with these muscle relaxants include lifting the eyebrows, jawline, and/or corners of the mouth, softening lines on the neck and décolletage, turning out the upper lip, and smoothing a "bumpy" chin. When done by an expert, Botox® Cosmetic and Dysport™ can be used in all of these areas without giving you a "frozen" look. You can be confident that you're getting the safest, most effective treatment with Botox® Cosmetic by choosing Skinspirations. Dr. Elliott has performed over 10,000 Botox Cosmetic treatments. Allergan, the maker of Botox® Cosmetic, has designated Dr. Cynthia Elliott a Platinum Plus Level physician because she's one of the busiest Botox® Cosmetic injectors in the country. Because of her experience and reputation, she has also been chosen by Allergan to be both an injection instructor and a facial aesthetics speaker. Call us at (727) 571.1923 for a complimentary consultation to learn more about how Botox® or Dysport™ treatments can help you look your best. Microbotox, also known as Mesobotox, is a treatment that makes pores smaller, reduces oil production, redness and superficial fine lines. Every day Skinspirations receives questions from patients asking about the way Botox® Cosmetic is prepared and priced, and it is confusing until you understand the difference between dilution and units. 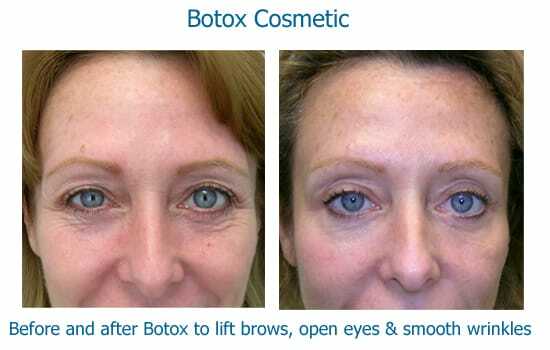 Botox® Cosmetic & DysportTM have to be mixed with a liquid in order for them to be injected.